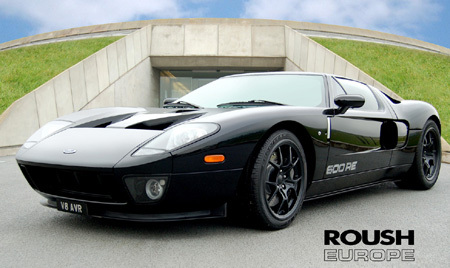 Roush Europe modifizierte den Ford GT zu einem Übersportwagen. Der Ford GT Roush 600 RE in einer eng limitierten Serie von nur 10 Fahrzeugen basiert auf dem Ford GT und hat einige nette Feature wie z.B. ein Motorenupgrade hinzubekommen. Mehr Leistung und Drehmoment für eine noch bessere Beschleunigung. Das Roush Technical Centre hat seinen Sitz in Brentwood, Essex (GB) und ist gleichzeitig das einzigste Ford GT Servicecenter in England. Der 600 RE wird einzig von der Firma Avro Motor Cars in Surrey vertrieben. 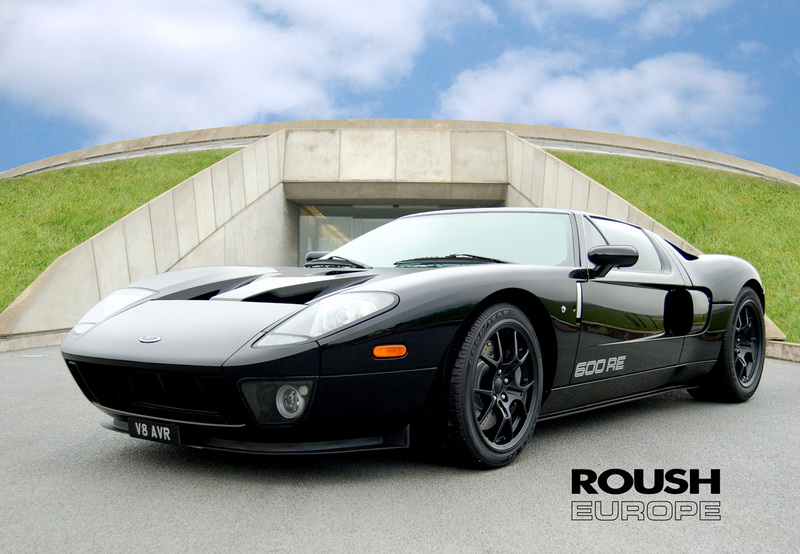 Der Ford GT Roush 600RE soll umgerechnet etwa 207.000 Euro kosten. 600RE steht wohl für die PS-Leistung, was eine Mehrleistung von 50 PS zur Originalversion bedeuten würde. Roush is a name that has become synonymous with the Ford GT. To mark the end of production of these fabulous cars, Roush have developed a very limited edition series of cars called 600RE. Based upon the Ford GT Supercar, this exclusive limited edition boasts a number of features including an engine upgrade – raising power and torque and providing the Roush 600RE with even greater levels of acceleration and performance. The 600RE has also enjoyed the Roush styling treatment both inside and out and comes complete with additional features to enhance its unique appearance. The vehicle is designed and assembled at the Roush Technical Centre, based in Brentwood, Essex; which is also the only official Ford GT service centre in the UK. The 600RE is being marketed solely through Avro Motor Cars in Surrey. Production of the 600RE is limited to only 10 Vehicles and demand is expected to quickly exceed supply. The 600RE is only available from „Avro Motor Cars“ based at the historic Brooklands site in Surrey. Roush, the popular United States-based tuning company for Ford vehicle models has created a one of a kind piece of automotive engineering. We all know that Roush tunes up Ford Mustangs, Ford Focus models, and Ford 150 trucks. This time, the company’s….